Why Safety Matters At The Loading Dock? Most warehouse owners, retail store owners and plant managers know that loading docks are the most important and busiest areas across all facilities, predominantly because this is the place where material handling and shipping takes place. This is often done round the clock, using heavy-duty machines and equipment like fork lifters, trucks and trailers. Thus, heavy-duty vehicles continuously move in and out of the facility, posing serious safety risk to the employees working on the premises. 25 percent of warehouse injuries occur at the dock? Around 94,750 injuries related to forklifts are reported annually? The leading causes of loading dock injuries are early truck departure, trailer creep, landing gear collapse and trailer pop-up? Frequent injuries around the dock, not only lower employee productivity but also negatively impact the overall performance of the workplace. Other losses may include process interruption, yield losses, missed shipments, and higher insurance premiums & liability. Therefore, to avoid employee injuries, and minimize the ratio of accidents and delays at the dock, it is important that you implement loading dock safety measures. Outdated dock levelers can lead to dock shocks and body vibration. And this can result in chronic body and neck injuries. To avoid this, consider investing in certified and high quality dock levelers with modern and smooth transition designs. 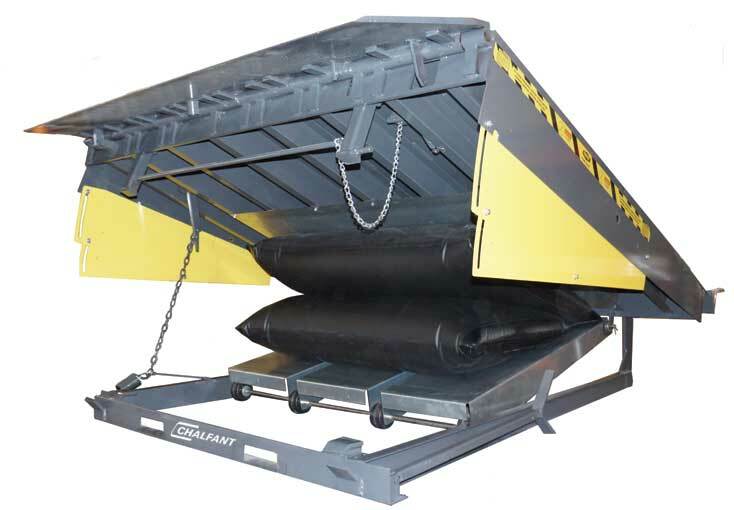 Not only do dock levelers protect employees from dock injuries and shocks, they also provide great defense against vacant dock drop off accidents, and smooth transition for forklifts to trailer beds. 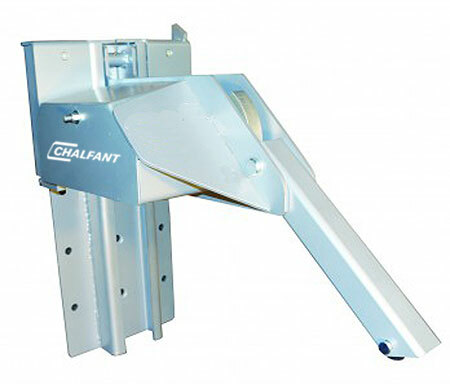 At Chalfant, all of our dock levelers exceed the performance requirements of OSHA, CS202-56, and ANSI MH141-1984. So when you purchase dock levelers from us, you can be confident about the quality and ensure that your dock is OSHA compliant. Maximize dock safety and prevent accidents that take place due to early departure and trailer creep by installing truck restraints. These restraints tightly lock trailers into a firm position, lowering the risk of sudden truck movement. 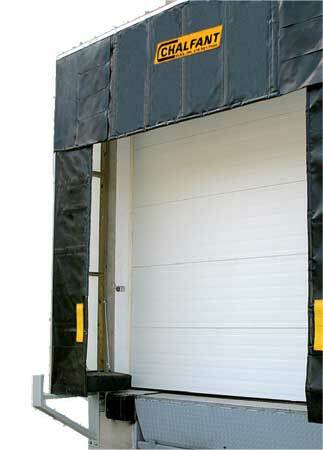 Another way to enhance your loading dock safety is to install dock communication systems. 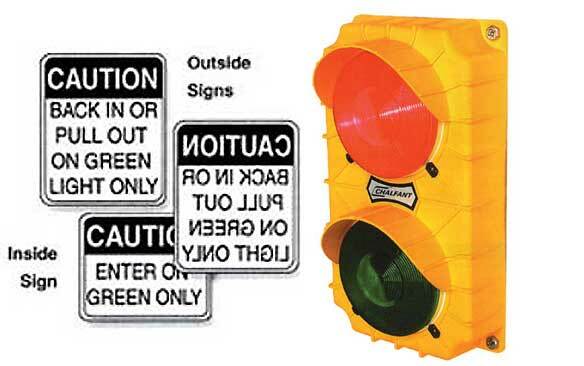 Featuring a red and green light, a dock communication system is best to communicate with the truck driver and the dock loader. The light provides signals to the truck driver. The red light indicates that the loading or unloading activity is in place and so the truck driver ensures that the truck doesn’t move from its place, thus lowering the possibility of early departures. On the other hand, the green light signals to the driver that the activity is complete and that the truck is now free to move. For enhanced safety around the dock, don’t forget to install dock shelters and seals. Dock shelters are flexible structures, exclusively designed and manufactured to withstand damaging forces and compression that mostly happens when the truck backs up against the wall. Drivers often don’t realize the distance and tend to hit the wall of the facility. However, with dock shelters installed, you can easily lower this issue as these shelters provide full-access to the rear of the truck as needed. Similarly, dock seals also offer unmatched safety benefits to dock owners. These are designed to close small openings between the facility wall and the back of the truck that not only creates an extension between the two to speed up material handling activities but also are great for controlling air flow. They seal the openings which stops rain and snow infiltration, much needed to maintain proper facility temperature so that the employees can work efficiently without any discomfort because of the cold. Also, as they tightly seal even the smallest of openings, they significantly lower the risk of pilferage at the dock.